What is the Muscular Solutions approach? What therapeutic techniques are commonly used during treatment? Should I get treatments even if I don’t have any pain? What can I expect for costs? 1. What is the Muscular Solutions approach? Imbalances in the body are often complex, occurring in multiple body systems and locations simultaneously. If left untreated, these imbalances can lead to pain, dysfunction and injury- often with long term consequences. As anyone with a knee injury who wound up in physical therapy for back pain can tell you, a problem in one area can lead to problems in other areas as the body tries to compensate and continue functioning normally. 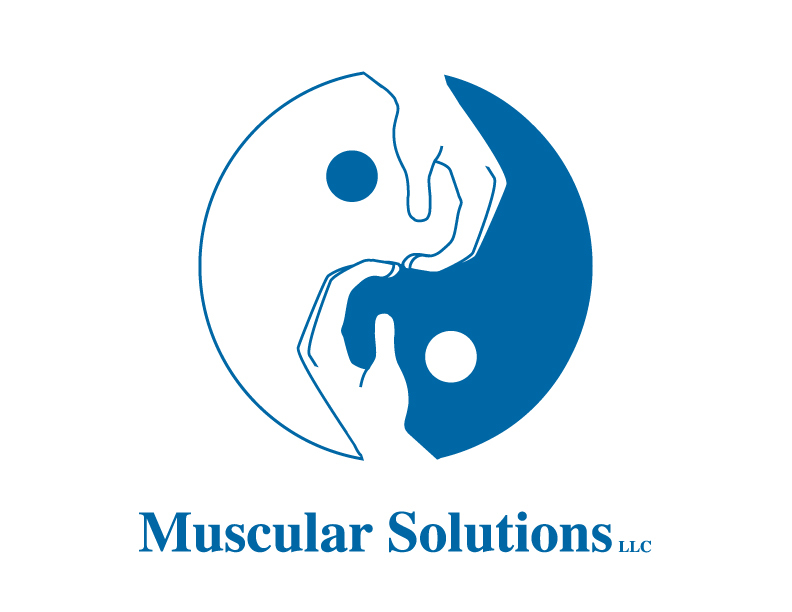 The Muscular Solutions approach treats the whole person by working to restore the body back to its natural balanced state of functioning. By incorporating theories and techniques derived from the diverse disciplines of osteopathy, chiropractic, physical therapy and energetic disciplines, I have a comprehensive set of tools to identify dysfunctional patterns unique to each individual and design a treatment plan that fits your lifestyle. I also recognize that psychological and emotional factors also need to be considered for complete healing to take place; Pain that arises from stress is no less real than that derived from a sprained ankle. 2. How does treatment work? Personalized, individual treatment is the hallmark of my work. As soon as you step into my office you will notice the attention given to your comfort and ease. I begin with a comprehensive history that addresses the whole person and consult extensively with the most valuable expert available- you. Next we develop a treatment plan together that is flexible and responsive to your needs and concerns. Only then do we begin the physical work. The approach I use seeks to structurally align and integrate the many parts and systems of the body into a functioning whole. Short muscles are lengthened, tight muscles are relaxed, bones are gently and safely restored to their proper positions and energy is encouraged to flow evenly. When the body is unified and restored to wholeness, pain and problems are eliminated and a deep sense of relaxation occurs. This relaxed state lasts much longer and is much more profound that what can be obtained with traditional massage. 3. What therapeutic techniques are commonly used during treatment? I am a practitioner of manual medicine. Manual medicine is the diagnosis and treatment of pain and dysfunction by the skilled physical manipulation of the body using the hands- as opposed to surgery or drugs. While these tools are an invaluable part of treatment for physical injury or disease, proper treatment with manual medicine will often make them unnecessary. This manipulation may be applied to the muscles, connective tissue (fascia, tendons, or ligaments), bones or organs. Concurrently, any manipulation of the physical body also affects the energetic body and visa versa. I use a variety of techniques, some of which you may be familiar with when you begin treatment while others may be new. They may include connective tissue work, myofascial release, muscle energy, strain/counter-strain (positional release), trigger point work, muscle testing, orthopedic physical assessment, gait analysis, joint mobilization and manipulation, soft tissue release, cranial work, energetic work and therapeutic exercise to facilitate the body’s return to its balanced state. This approach is not just an amalgam of techniques but a guiding principle. This new way of working with the body moves away from focusing on “techniques” and concentrating on how they are used and what needs to be accomplished. 4. How long will treatment last? The length of treatment is completely dependent on your unique treatment plan. The one goal common to all of my clients is to move each of them towards independence and healthy functioning. Some clients come in for one visit while others are seen weekly for months or longer. I encourage proactive self-care and give you the tools you need to develop and strengthen functioning to prevent problems in the future. This personalized service extends to home visits, off-hours consultations and other ways I work to meet the needs of my clients by recognizing and accommodating their busy lives. 5. Should I get treatments even if I don’t have any pain? Absolutely. While many of my patients seek me out because they are experiencing pain, many others are looking for a way to feel and perform better in their daily life. Muscular Solutions is like a tune-up for the body and as such should be an integral part to everyone’s healthcare regime. Treatments help to alleviate the little aches and pains that go hand in hand with everyday living whether your lifestyle is sedentary or that of a professional athlete. Treatment isn’t just about feeling better, it’s about being better. 6. What can I expect for costs? The unfortunate realities of managed care have forced many doctors, practitioners and health professionals to compromise care and alter best practices. As a Licensed Physical Therapist working part-time in a health clinic, I all too aware of the gap insurance puts between best treatment and reimbursable services. My job is to give you the best care possible. In my private practice I am unwilling to compromise your health when insurance demands interfere with or limit treatment and have consequently made the difficult decision to decline health insurance reimbursement. I also recognize the difficulty this can present for clients of limited financial means. As such I have a commitment to work with every client to develop a payment plan that is both reasonable and flexible. Barry Meklir is a gifted healer. I went to one of the leading sports medicine doctors in the Boston area who basically told me I would never ride again (i'm a cyclist). After several visits to Muscular Solutions, I was on my way. I did some of the best riding of my life after being treated by Barry. He truly understands how the body in motion works as a whole and he is wholeheartedly committed to getting every patient out of his office and active again. As I am a multi-sport athlete, I have returned to Barry with countless injuries and I have been delightedly amazed by his endless repertoire of techniques. He is a genius and a kind soul. Not only is he phenomenally talented, but he genuinely cares about his patients. Barry did an excellent job of putting me back together after a nasty car accident in December 2001. I had very little idea what was wrong, other than knowing that a bunch of things were out of whack and I was in pain. Even my regular doctor wasn't able to figure out how extensively I was hurt, sending me for lots of tests that were wholly unnecessary, like an EKG. Barry's greatest diagnostic skill is knowing how everything in the body is connected, and that damage in one place often shows up in a completely different, unexpected place. He does a thorough job, and fixes the problem and alleviates any of the secondary problems. I highly recommend him to anyone who needs thorough, investigative musculo-skeletal treatment, especially when traditional, HMO-based medicine fails us again and again. I'd like to express my extreme appreciation and satisfaction for the help Barry has given me. There were many times when suffering with intense back pain, I could barely stand up or even walk! Barry is extremely intuitive and highly knowledgable in the field of Muscular Therapy. He is extensively trained and keenly blessed with the fine skills to bring the body (and mind) back to wellness. Barry Meklir is a very gifted Healer. He wields a most welcome and mighty 'force'.